Rhynchostylis is a genus of tropical orchids with long, curved leaves and waxy flowers that grow in tower-like structures. They’re mostly native to Southeast Asia. Due to their specific requirements for growing conditions, they’re only an option for gardeners in tropical areas, particularly those with shade houses. Also, note that these plants are considered exotic and are awfully rare in cultivation. To track one down, you’d likely need to consult a botanical source who specializes in hard-to-find tropical plants. If you do, though, the vertiginous flower structures of Rhynchostylis plants will prove a great addition to any collection of tropical orchids. Light: Naturally, these orchids grow in shady conditions underneath a forest canopy. So they should receive partial sunlight, and take care not to put them directly under the sun: ​Rhynchostylis plants are sensitive to bright light. Water: Very moist, humid conditions are necessary. Mist regularly and don’t miss a day to keep them healthy. Temperature: Warm tropical temperatures above fifty degrees. They are not frost tolerant. Soil: A hanging basket is best for these plants, and so they should get a growing medium that drains very well like chopped sphagnum moss. Bad drainage will kill these plants. Fertilizer: Feed regularly with a typical and balanced orchid fertilizer like a 20-20-20, diluted and mixed into their water. These orchids can be propagated by division. Separate them at the base, ideally using a sterilized tool to avoid contaminating the plant and then place the new divisions in their containers. Bagging new orchid divisions is a good idea, as this can keep heat and moisture in and increase the plant’s chances of survival. Don’t be discouraged if your Rhynchostylis specimens don’t propagate easily; remember, these are fragile, difficult plants. Though not entirely necessary, it’s still not a bad idea to sporadically repot these plants to ensure that their growing medium hasn’t been exhausted. If you do, be extra careful not to damage the plants’ root systems, as these plants have fragile roots even for tropical orchids. They can also be mounted vertically; if so, repotting obviously won’t be necessary. There are four species of Rhynchostylis: coelestis, gigantea, retusa and rieferi. Again, the most commonly recognized by far is R. gigantea, which also has the widest distribution of any plant in the genus. It’s found all over Southeast Asia, from the Philippines as far as Thailand. There’s also some taxonomic confusion that surrounds this genus since different botanists have proposed additions to the genus; their resemblance to Vandas doesn’t help matters. If you’re interested in these plants, make sure you know what you’re getting. 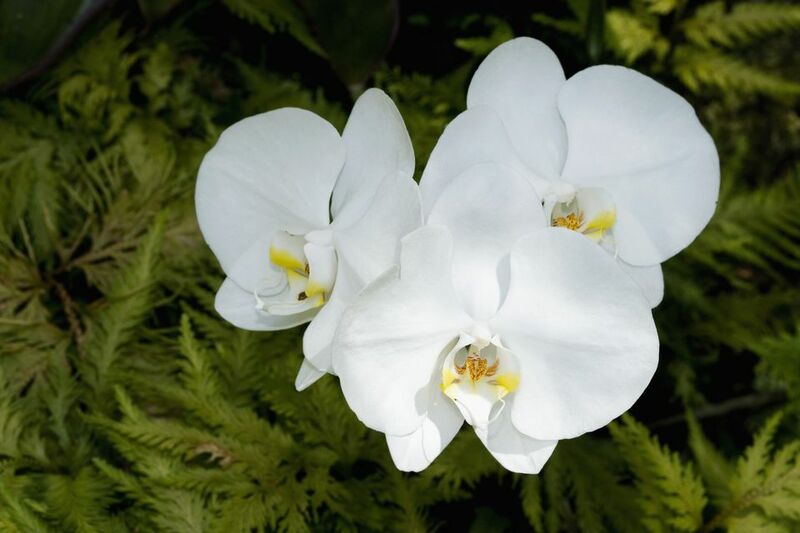 These orchids really will require care and attention from you if they’re going to thrive, because they can be damaged by lots of different factors. Too much sunlight can cause leaf tip burn or discolorations, while poor drainage in their baskets can damage the roots. You want a good balance and also remember that some mild air movement is good for hanging orchids (though strong wind will damage them). It’ll probably be easiest to mount Rhynchostylis plants vertically. Somewhat unusually, they bloom during winter, so keep an eye out for their flowers in the cooler months and enjoy them when they appear.